Reedsport Living. Affordable in town charmer. 1496 sq. ft. of living space, 3 bedroom, 2 bath. Large deck, fenced yard, oversized 1 car garage. Upgrades galore. 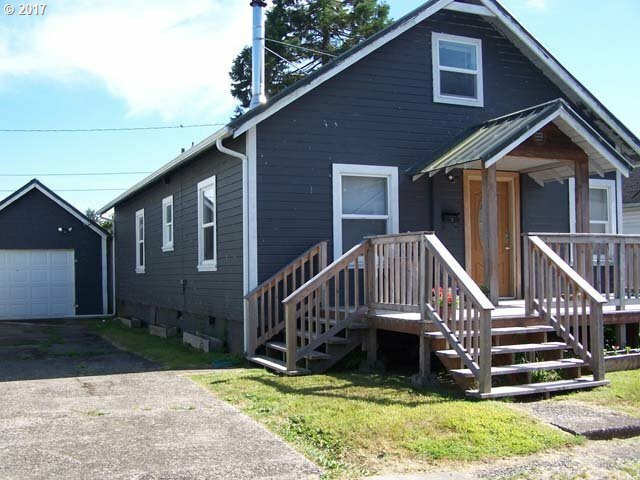 Certified wood stove, covered front porch and convenient location to stores, dunes and the river. Priced just right at $165, 000.